Franschhoek is a highly sought-after destination in South Africa’s Cape Winelands. And while this fair wine valley and historic town needs little to no introduction – it’s also safe to call it a bonafide foodie haven. Scot Kirton, James Gaag and chef John Norris-Rogers are the talented trio behind this incredible, still-new Franschhoek restaurant. The sister restaurant to Constantia’s La Colombe, this exciting eatery is as aesthetically pleasing as it is from a food perspective. Note: La Petite Colombe, a fine dining institution, is not suitable for children under ten – and advance booking is recommended. Address: La Petite Colombe, Le Quartier Français Hotel, Franschhoek, Western Cape, South Africa. Chef Chris Erasmus has, in Foliage, provided guests with a consistently incredible restaurant. This lovely, relaxed eatery offers a memorable dining experience, where good service, quality food, all-round attention to detail and thoughtful cooking are firmly at the fore. Note: Foliage has plenty of excellent vegetarian and vegan options on its menu, including a vegetarian-friendly cheesecake… mmm! Also, please book in advance to avoid disappointment. Address: Foliage, 11 Huguenot Road, Franschhoek, Western Cape, South Africa. This impeccable, visually stunning farm-to-table restaurant provides guests with a soothing, yet entirely special experience. What more do you require from a restaurant? Well, how about an impressive, eclectic space inside and out – with a view out across the stunning food garden! If you are looking for a quality, laid-back dining experience in Franschhoek, look no further than Boschendal’s The Werf Restaurant. Note: Booking is essential – and the restaurant is not halaal-, kosher- or allergy-friendly. Address: The Werf Restaurant, Boschendal Wine Estate, Pniel Road, Franschhoek, Western Cape, South Africa. Fronted up by charcuterie king and executive chef, Neil Jewell, this beautiful restaurant is one of the most wonderful places to eat in Franschhoek. Not only is the setting on family farm, Moreson, positively enchanting, but it offers some truly delectable dishes for visitors to relish. What’s more, it’s family-friendly so no one has to stay at home. But while the atmosphere is relaxed and farm-friendly, this is one of the most highly rated eateries in Franschhoek… and with good reason! Note: Bread & Wine is available for hosting weddings and private functions. Also, the restaurant will be closed on 6th, 13th and 20th November 2018 respectively. Address: Bread & Wine Restaurant, Moreson Farm, Happy Valley Road, Franschhoek, Western Cape, South Africa. Here, chef Nicolene Barrow brings delicious, classical French cuisine (and her own personal touches and contemporary twist) to the table, ensuring a delightful dining experience for all. Expect a fresh, seasonal menu, which helps to further cement an all-round glorious meal in this beautiful restaurant. Note: Prior booking is a must here. What’s more, Orangerie also offers a delectable high tea. Address: Orangerie Restaurant, Le Lude Estate, Lambrechts Road, Franschhoek, Western Cape, South Africa. Multiple award-winning chef Darren Badenhorst is the mastermind behind Le Coin Francais’s incredible food. With artfully presented dishes, which taste divine, he takes diners on a wholly memorable foodie experience. And in the restaurant itself, one can expect a chic, polished restaurant setting, with classy interiors to match the chef’s impressive plating. 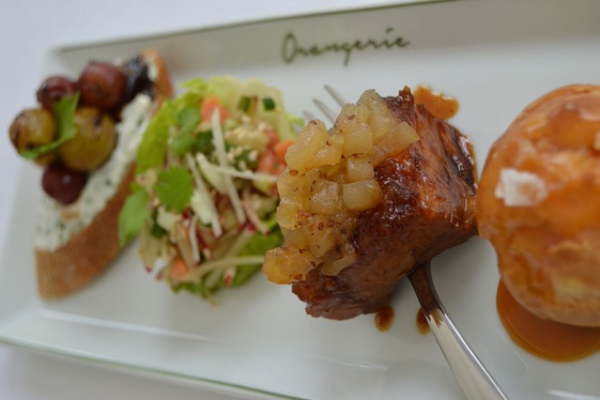 Whatever you decide to order… prepare to be wowed by chef Darren’s fine cooking! Note: Booking is essential. Also, children (ages 12 and up) are welcome to join for dinner and are also allowed to enjoy the tasting menus offered – and all ages are welcome for lunch. Address: Le Coin Français, 17 Huguenot Road, Franschhoek, Western Cape, South Africa. 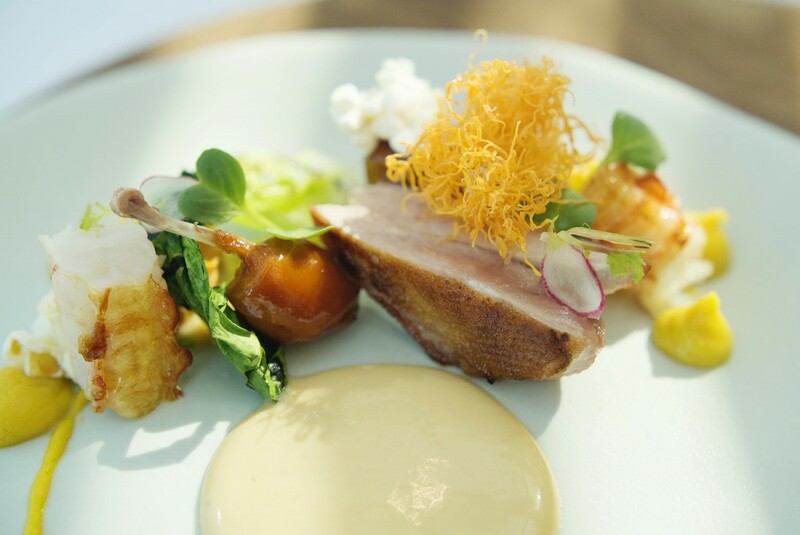 Following in the talented footsteps of chef Michelle Theron, chef Eric Bulpitt is now the executive chef behind Pierneef à La Motte’s restaurant magic. Chef Eric brings with him a formidable chef’s CV and plenty of inspired cooking, which incorporates fresh, sustainable ingredients in the making of his masterful dishes… These are set to impress every kind of eater! While the restaurant space itself is a thing of pure beauty nd truly inventive interior design and decoration. If you are looking for a sumptuous restaurant – with incredible indoor and outdoor, as well as deck seating – look no further than Pierneef à La Motte! Note: La Motte requires photo identification (driver’s licence, passport or ID) for its security check-in – and restaurant bookings are recommended. Address: Pierneef à La Motte, La Motte Wine Estate, R45, Franschhoek, Western Cape, South Africa. Chef Reuben Riffel – the man behind numerous top-class eateries over the years and a true South African celebrity chef in every sense – has done it again… But this time, he’s re-introduced some of his more signature dishes to the menu. 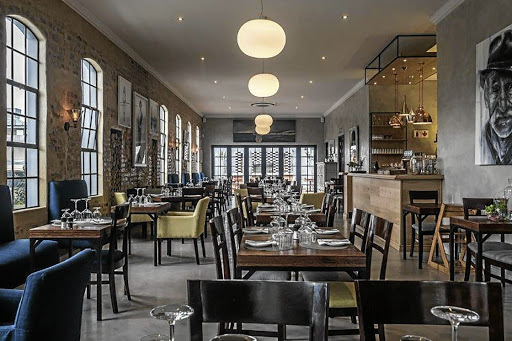 This restaurant and bar – which offers a wonderfully laid-back setting – is perfect for winelands dining, while its central location makes it impossible to miss when visiting fairest Franschhoek. If you’re not already a Reuben Riffel fan, then after dining at the self-named Reuben’s… you certainly will be, as it’s sure to delight new and old food fans alike! Address: Reuben’s, 2 Daniel Hugo Street, Franschhoek, Western Cape, South Africa. Found on the much loved Babylonstoren Wine Farm, Babel is one of the finest restaurants found between Paarl and Franschhoek. This creatively decorated eatery, housed in a re-purposed, old cow shed, makes for a visually impressive setting to enjoy a deliciously fresh, seasonal meal. Diners can choose to sit inside the quirky eatery itself or to dine outside in the courtyard, beneath the plane trees. Either way, expect a truly wonderful meal in the winelands at this unique restaurant! Note: Booking is essential – and hotel guests enjoy priority when it comes to Babel’s bookings. Contact: +27 (021) 863 3852, enquiries@babylonstoren.com. Address: Babel Restaurant, Babylonstoren Wine Farm, Klapmuts-Simondium Road, Franschhoek, Western Cape, South Africa. Set on the picturesque Vrede en Lust Estate, this beautiful, chic eatery is one of Franschhoek’s most delightful finds. With a well-defined menu, filled with everything from gourmet sandwiches to wood-fired pizzas and traditional build-your-own breakfasts, Lust Bistro & Bakery offers something delicious for everyone to enjoy. Here, patron chef Jean Pierre Smith has ensured a truly scrumptious food journey, which is complemented by the lovely estate setting and pretty interiors. Address: Lust Bistro & Bakery, Vrede en Lust Estate, Klapmuts-Simondium Road and the R45, Franschhoek, Western Cape, South Africa. These are just ten of the stellar eateries one can find in Franschhoek… Which is first on your list? Previous Previous post: Top Paternoster Picks.